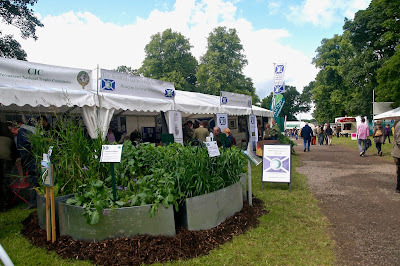 Scottish Gamekeepers Association News: SCONE GAME FAIR: WHAT'S ON. The SGA is looking forward to welcoming members and supporters this weekend to the 29th GWCT Scottish Game Fair in the grounds of Scone Palace. On Friday morning (time tbc), Edward Mountain MSP will present the 2017 SGA Young Gamekeeper of the Year award and it would be great to see as many people as possible in the tent for the announcement. The prize is the most sought after award for an early years professional working on land or river in Scotland and the award committee will be picking from a very strong short-list of 3 final candidates. We will update later this week on the exact time of the Young Gamekeeper award announcement. Also on the Friday, at 1.30pm for a one-hour drop-in session, members of SNH’s Species Licensing team will be on hand to answer members’ questions regarding species licensing in Scotland as the SGA builds on its key message that legal solutions are the way to solve species conflicts. If you have questions regarding the Wildlife and Countryside Act and legal options, please speak to the SNH team. Over the three days, the SGA will be hosting acclaimed Braemar-based photographer Steven Rennie, whose images of rural land and wildlife, as well as the people who live and work in these places, have captivated so many people. Game and Wildlife lecturers from North Highland College UHI will be on hand to seek to people about courses and careers in the game sector and we will once again have the team from CIC trophy measuring who can evaluate sporting trophies to international standard. New SGA calendars and diaries will be available as well as tickets for the 2017 Polaris Sportsman 570 and the Hambaur Star Trailer, sponsored by Judge’s Choice Petfood Ltd to mark the 20th Anniversary of the SGA.